George Mason cruised past Hofstra last night 79-50, a game that was never in doubt for the Patriots and one where the Pride shot under 27% from the field. Hofstra came out of the gates going 0-for-10 and finished the first half with 4-27. The halftime would have been more lopsided if not for Mason's constant fouling. Erik Copes posted a double-double with 11 points and 10 rebounds and had an uncharacteristic 5-7 night from the free-throw line. Jonathan Arledge took advantage of the Hofstra missing their best inside man, Stephen Nwaukoni, and finished with 20 points. Arledge also went 3-for-3 from behind the three-point line. Prior to last night he had only made two three-pointers the whole season. 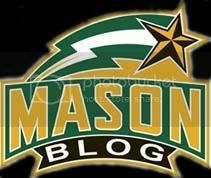 This was Mason's fourth straight CAA road victory and now they will need to build off it. They now have their last three remaining games to try to move into that second or third seed in the conference tournament bracket. Mason continues to play better basketball away from the Patriot Center and it's a shame their next game is at home. Perhaps they would build more momentum on a continued road trip. This is their last streak coming up now to try to string together multiple wins before the conference tournament. It's difficult get excited about win against a team like Hofstra when they played so poorly and really never posed a threat to Mason. But still, Mason didn't shoot themselves in the foot and finished strong in the second half.